The Gingerbread Enchantment season is upon us! 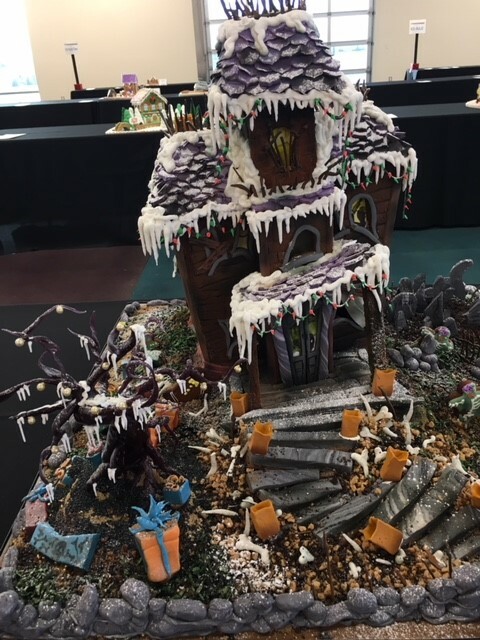 Our annual Gingerbread Enchantment Contest and Auction are a great way to ring-in the Christmas season, get yourself in the holiday spirit, and help a great cause, all at the same time! Our theme this year is Songs of the Season. Your $25 entry fee enables you to enter your house in categories ranging from professional baker to easy-to-assemble, pre-baked kits, so there’s a gingerbread house to fit everyone’s skill level. Not to mention prizes for 1st, 2nd and 3rd place in every category. Even if you don’t want to build a house, you can still participate in our Awards and Auction Evening. A $5 ticket allows you to enjoy food from Dion’s and fun for the whole family, including an appearance by Santa himself! All funds raised go to support our L.I.F.E. (Low Income Food & Enrichment) Program. So mark your calendar and plan to join us on December 7th, starting at 6:30. Go to www.gingerbreadenchantment.com and get your tickets early, because we nearly sold out last year!